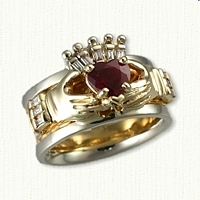 in the crown and hands. 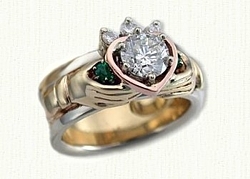 14Kt white gold celtic Twin Hearts Knot inside band. 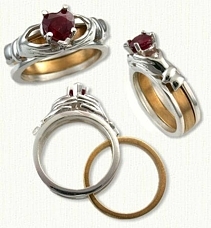 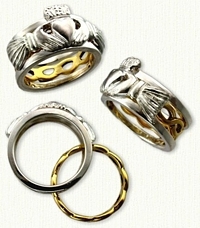 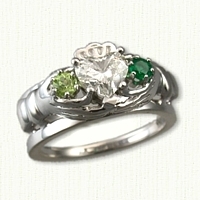 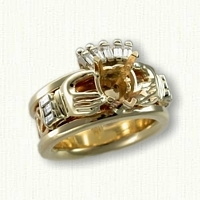 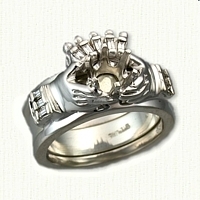 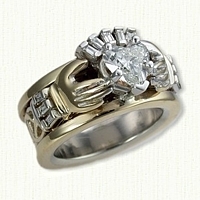 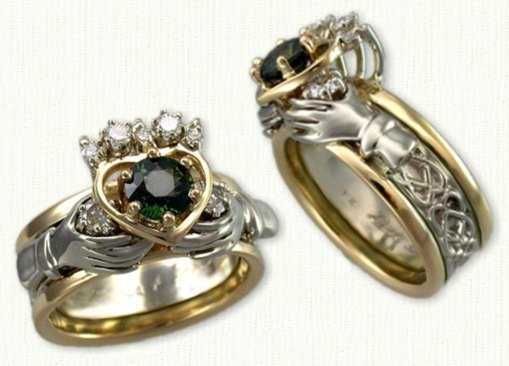 Visit our matching Claddagh Wedding Bands page for other ideas.